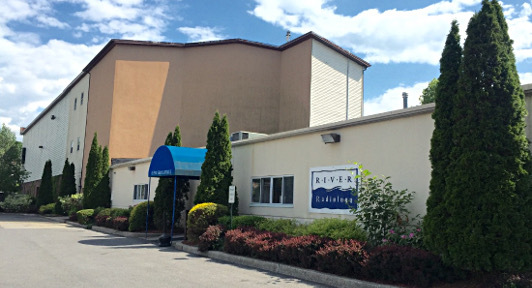 River Radiology is operated by the largest and oldest radiology group in Ulster County. The history of the group dates to 1961, when Dr. Milton Grover came to work in Kingston. First known as Ulster Radiologic Associates (1972), we later opened the first private radiology office in the Kingston area (Ulster CT Medical Associates) in 1978. Ulster CT Medical Associates, first a CT scan office, eventually became a women’s imaging facility - specializing in Mammography, Ultrasound and Bone Densitometry - and was the first ACR-certified Mammography facility in the entire Mid-Hudson region. Eventually, our group (which was then composed of staff radiologists from both Benedictine and Kingston Hospitals) opened a second private office called Hudson Valley Magnetic Imaging (HVMI) in 1989 – introducing MRI services to the residents of Ulster County, and subsequently also providing CT (CAT Scanning) services. In 1999 we changed our name to River Radiology, and in 2000 bought an historic factory building on Pine Grove Avenue off Broadway (next to the YMCA) within a few blocks of both hospitals. Renovations to 16,000 square feet were completed on schedule, and River Radiology opened its new office in November, 2001. At our new location we have consolidated all services previously provided at Ulster CT Medical Associates and HVMI, and have added several new diagnostic services. With the development of new technology and the rapidly increasing need for radiological services, the group expanded from a single radiologist in 1961 to three by 1975, five by 1990 and seven by 2000. Our physician group now consists of eight board-certified radiologists who have worked and resided in Ulster County for many years. The members of our group have pioneered many diagnostic services in our community.